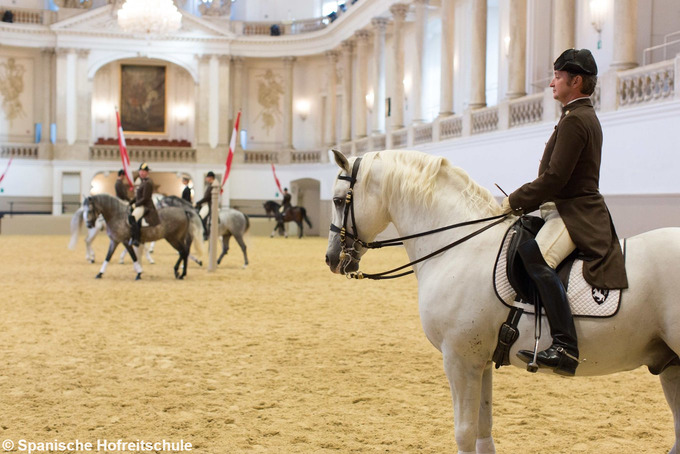 Even if you're not a horsey bore, don't miss the chance to see the majestic Lipizzaner stallions perform their morning exercise in the former magnificent ball room of Vienna’s Hofburg (Imperial Palace). You don't have to be a horsey bore to appreciate the majestic Lipizzaner stallions as they are put through their paces in performances at the Spanish Riding School. The precision of their movements, which takes years to accomplish, means that the overall effect is close to that of a top-class ballet. Add to this the fact that it's staged in the former Baroque ballroom of Vienna’s Hofburg (Imperial Palace) which dates back to the 16th century (still resplendent with chandeliers et al) and that the riders are dressed in attire of the same era, and the result is breathtaking. The Spanish Riding School is the only classic art-of-riding institute still in existence. Come witness these beautiful creatures in action for one hour during their Morning Exercise! You may select from a wide range of seating options for the main performances, a unique opportunity to take in the magnificent results of years of intensive training and a 400-year tradition of riding excellence. *Vouchers must be redeemed at the box office at least 30 minutes before the beginning of the show. No admission for children under 3 years of age according to house rules. Free admission for children aged between 3-5 years (sitting on their parents' lap).